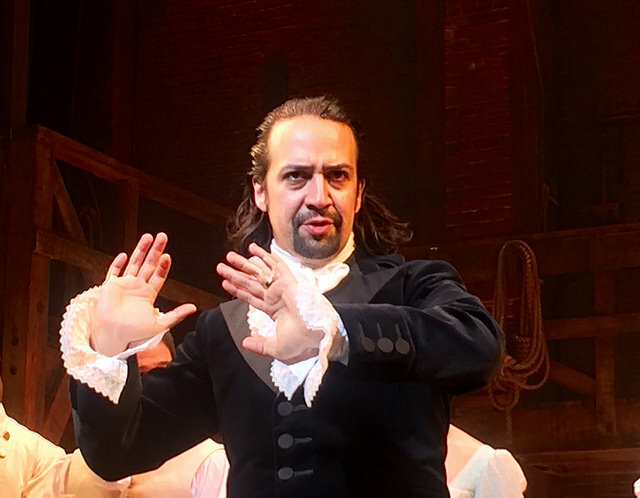 New York, NY — Fresh off of his Tony Awards success for the smash Broadway hit Hamilton, Lin-Manuel Miranda today announced the Expanded Hamiltonian Universe, set for mass release on Broadway and local theater companies around the world in 2017. Hamilton, a hip-hop take on America’s first Treasury Secretary, has earned a remarkable $61.7 million at the box office. Estimates indicate that it could pull in $1 billion on the New York stage alone. It has won a Grammy as well as a Pulitzer Prize, while garnering a record 16 Tony Award nominations with 11 wins. Miranda goes on to explain that in the Expanded Hamiltonian Universe (EHU), we discover that the origins of the Founding Fathers’ improbable success against the British Empire stem from their origin as mutant aliens who came to Earth long ago in ships blaring a mixture of rap, rock and classical music. 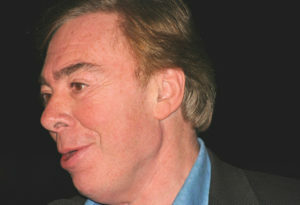 Rumors continue to circulate that Sir Andrew Lloyd Webber is in works for a similar musical series, based on the rise of Great Britain. Unconfirmed reports say that the series begins with a rapping William the Conqueror and is set in 1064, two years before the Norman invasion. “We’ve heard there’s going to be a rapping Edward the Confessor, a rapping Edward II, a rapping William Wallace, a rapping Henry XIII… all of this British Medieval rapping. If anyone could pull it off, it would be Sir Andrew, but honestly I’m not sure even he can do it” said Dee Pamelside, with the British Theatre Association. 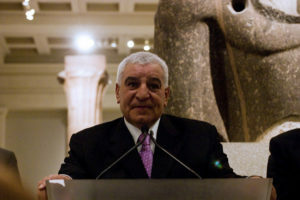 Other reports indicate that Dr. Zahi Hawass, former Egyptian Antiques Minister and noted Egyptologist, is working with veteran Broadway writers on the Egyptian Musical Universe (EMU). “Yes, someone is working on a rapping Seti, a rapping Cleopatra, a rapping Tutankamhun… you name the pharaoh and they’ll be rapping” reported James Xander, an Egyptologist close to the production.